Anyone who has ancestors from the South has probably heard stories about the days when King Cotton ruled the fields, a phenomenon that occurred after Eli Whitney’s cotton gin came into common use. One version of this remarkable machine, which marks its centennial in 2014, forms the core of the Texas Cotton Gin Museum in Burton, Texas, 77 miles from Austin on SH 290. To commemorate this event, the 25th Annual Cotton Gin Festival will kick off with an All You Can Eat shrimp boil ($30 per person) and live auction Friday evening, April 25. On Saturday, April 26, the free festival features a parade at 10:00 followed by a bubble gum blowing contest, pie eating contest, tractor pull, and cotton seed pulling contest. Bands and singers will provide entertainment throughout the day along with folk life demonstrations and arts and crafts booths. small farming community in Washington County where it is located. Built in 1914, the Burton gin is the last surviving turn-of-the century air system gin on the original site with the original equipment in the United States. 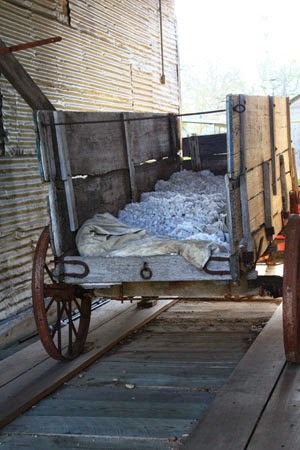 The gin will once again be put into operation on April 26 when two bales of cotton will be ginned there to commemorate a century of agricultural change and the impact of the cotton gin on the U. S. economy in the early 20th century. cotton to the gin in wagons. In the 19th century, separating cotton fibers from its seeds was very labor intensive and unprofitable because all the work was done by hand. 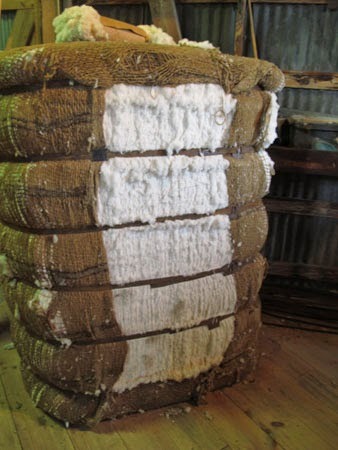 With the advent of Whitney’s cotton gin, processing cotton became much easier and resulted in greater availability and cheaper cloth. Increased demand, standardized machine work, and better maintenance techniques fed the growing factory system that changed production of goods across America and jump-started the Industrial Revolution. 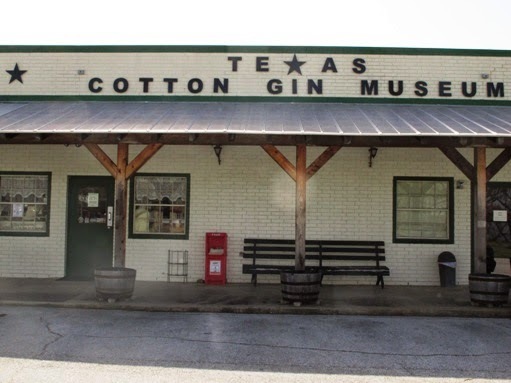 During the days when cotton was king, even small farming communities had one or more gins. Today the process of putting cotton into bales is so mechanized and streamlined that very few gins remain. That makes the Texas Cotton Gin Museum unique, the only one of its kind in the country, according to museum curator Jerry Moore. seed is removed from the cotton. Originally operated by steam, the Burton gin began its first run with the Bessemer engine, called Lady B, on June 6, 1925. 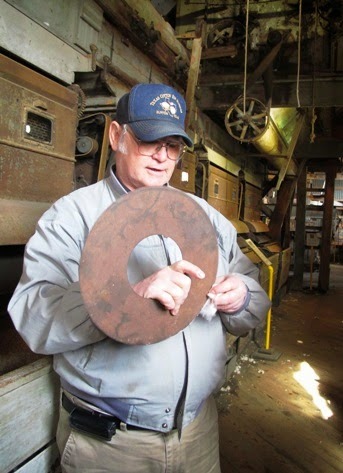 This oil-burning engine, a National Engineering Landmark, still operates the gin on occasion and will make the commemorative cotton bales in April. Asked who would run the gin, Moore replied that they have no problem getting a crew as so many people with engine knowledge want the experience. A bale weighs approximately 500 pounds. 300 pairs of men's jeans, or 210 sheets. Officially closed in 1974, a year only seven bales were ginned, the Burton property was purchased by a couple from Ohio who came to realize the historical significance of the building and subsequently contacted the Smithsonian. Agents from the national museum spent two weeks checking out the authenticity of the gin—and in the process found the entire stash of record books left by the German immigrants who ran the Washington County gin during the early years. 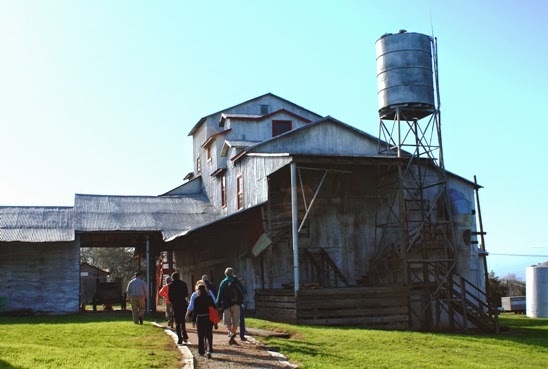 The story of the Burton gin, now recognized as a National Historic Register site, and its place in the development of cotton as a major agricultural crop, are told by Moore in an hour-long tour he gives visitors to the Texas Cotton Gin Museum. Relating the story from the farmer’s point of view, Moore has developed an entertaining and educational presentation enjoyed by all ages.